2018 WAWC Youth Recognition Night! Get in free and cheer on your 2018-19 GoHawks as they take on the Comets of Charles City! 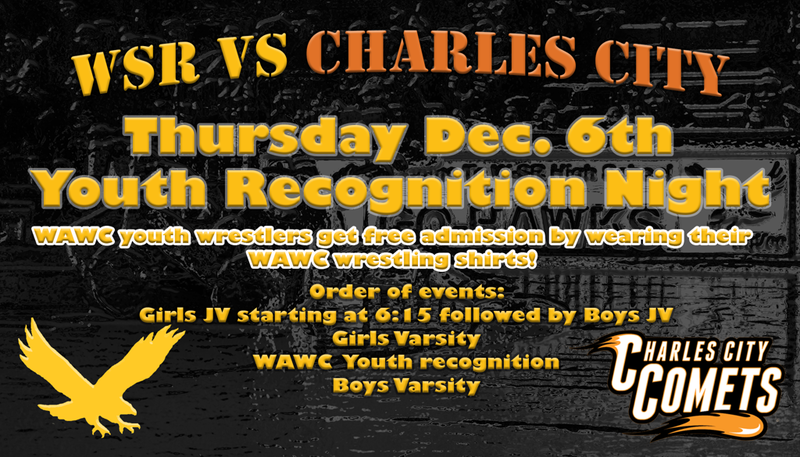 WAWC Youth will get in free by wearing your GoHawk T-shirt. Sorry parents you'll still need to pay regular admission. Five Cadet All Americans and a 14U Champion highlight Folkstyle Nationals for GoHawks!